This is really a sideline to what I collect and restore. Its another little hobby which I sometimes indulge in, haven't really of recent times but thought I'd mention it here anyway and add some pictures of my watch collection. All are either Casio or Seiko. Most of these watches I've picked up from watch repair places and jeweller's that were in their junk drawer or about to be thrown out. I've managed to get some of them going by making one out of two and some have just needed a battery replacement and a good clean up in general. One good thing about Seiko's is they can be easily dated as the first digit of the serial number indicates what year it was made. 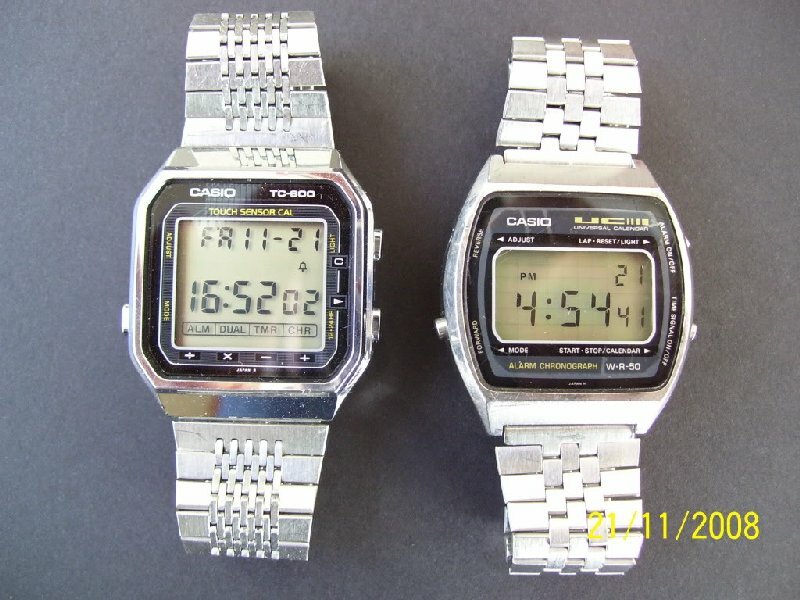 Not too sure about Casio though, most of the information I have gotten off the net. 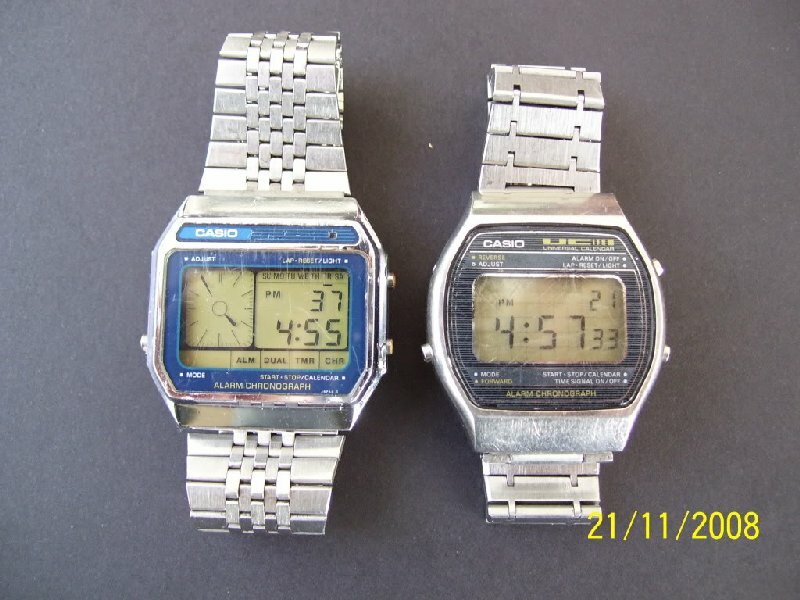 I do have more watches like this so will try and add photos of them when time allows. ***UPDATE*** October 2012- A recent resurgence with the watches has kicked in again for the first time in ages (don't know why..mad!). But I have acquired a few more new watches and the gem amongst them all was the famous James Bond Seiko G757! Scroll down too see. Got this cool looking watch in the post this morning. Its called a Lotto Watch model WL-703. Its rather unusual and I've never seen one before. Looks be of a Hong Kong origin from 1980's but the build quality of the watch is actually quite good. It has a random number generator for the Lotto Generator which I haven't worked out how that bit operates but everything else is easy to use. 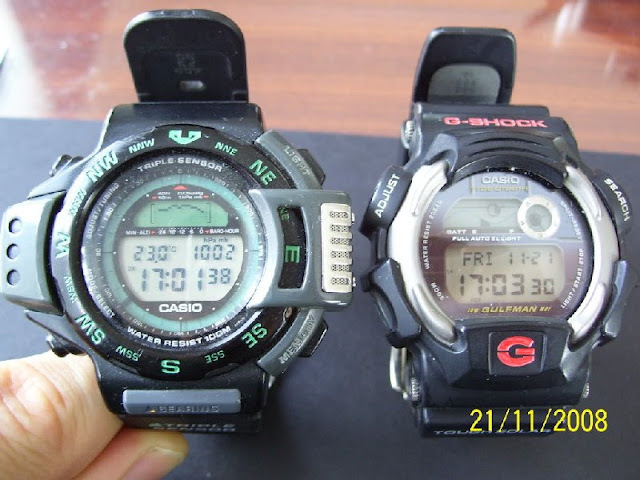 Has dual time/countdown timer/stopwatch/alarm etc. The number chart also acts a calender and displays the current day. I like the LCD layout it looks good. Overall a neat watch and in nice overall condition too. This wee gem arrived very recently, I got this for not much money, it was advertised as not working, so took a gamble and won the auction. Fortunately it didn't take much to get it going, just needed a module strip down and clean plus removal of some very minor old battery leakage which luckily wasn't starting to corrode anything. I have read the circuit boards in these can be very temperamental and generally what seems make the 757 module redundant, but in my case I got lucky as its working fine. 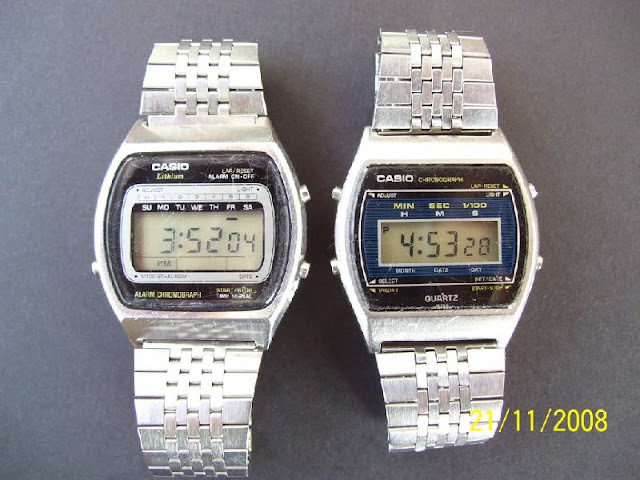 Such a cool watch to look at and love the digital-analogue readout! This example has been worn and used but I'm not bothered by that, just thankful to finally owning one of these sought after Seiko's. It also came with the original owners manual and a date written on the back when it was purchased - 16/2/1984. The Casio W-760 is the best watch I have ever owned. I would love to find one for sale that has less scratches than the one I have. Hi, I have the G757-4000 that I have owned since new. Unfortunately it no longer works despite it otherwise being in excellent condition. The last time I used it it worked (about 10 years ago) and then it sat in a drawer since then. When I recently looked at it again it no longer worked. I tried replacing the battery but other than the light no luck. Do you have any suggestions on how to get it working? Do you do repairs? 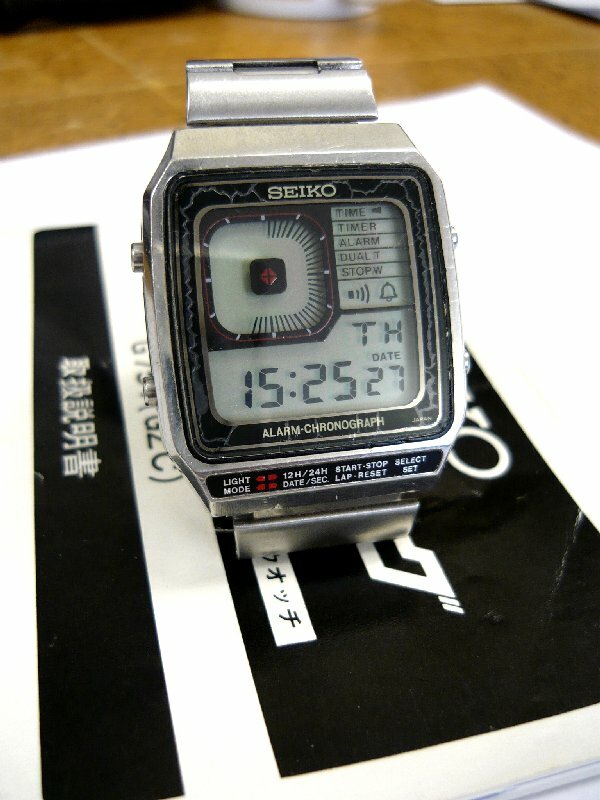 I took it to Seiko but they said it is too old to look at. Thanks for the response. It doesn't appear like the battery leaked and from what I can see internally with the back off it all looks in good condition. I am in Sydney Aus, but do go to NZ from time to time. Thanks for the offer to look at it - perhaps next time I come across I will bring it with me. Which city are you in? I have a cousin in Auckland that also comes across here from time to time so if you are in Auckland she could bring it over at some point. I really loved the watch and it is a shame if I can't breathe life into it again. To play lotto numbers on the lotto watch press left hand lower button. It will flash lotto numbers. Press left hand top button to play numbers. To change numbers, press right had top button. It will flash. Then press right hand lower button to increase numbers. Then press right hand top button - it will flash. Then press right lower button to change numbers. Then press left hand lower button to play numbers. 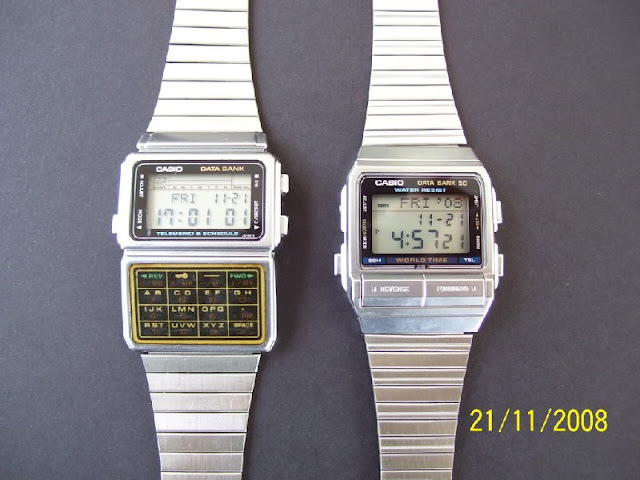 Very nice collection of vintage digital Lcd watches, i love those Seiko's, Keep it UP! 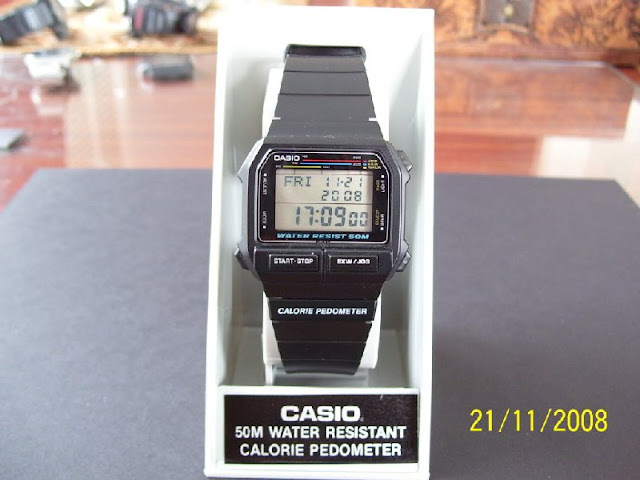 Hi this is the first picture ever I' ve seen of my Casio DW 280 model number in square box 690. I am having trouble finding a band that will fit it. All the 18mm at Walmart just won't fit for some reason. Any suggestions? Phil from Wilmore, Ky. I bought this watch in the early 80s and just put a new batter in it and it worked fine. 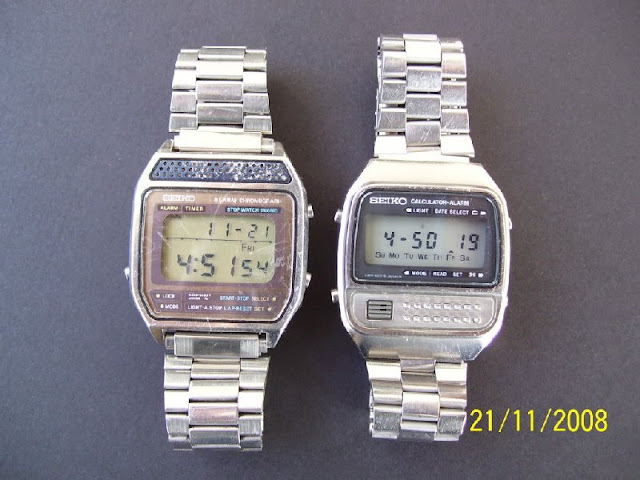 The date was 1985 on the watch last time it had a good battery in it probably. Lol. 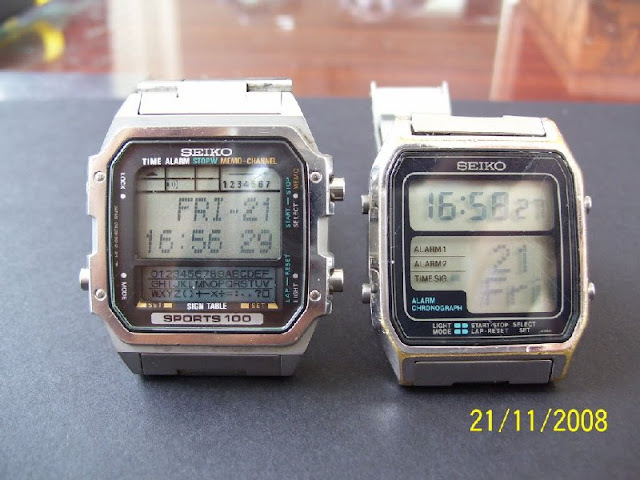 Great Casio and Seiko Vintage Retro Rare Digital LCD Watches from Japan.